That leaves us with a plethora of options available in the market that we can effectively make use of. The good news here is that today, we are reviewing what is most probably one of the best screen recording softwares. In case you are wondering, I am talking about Bandicam Screen Recorder — I have been using it for a while, and it has become the top software that I use over everything else. Today, I am going to be reviewing it, and explaining to you why it has become such a sensation in the market that is already overcrowded by so many alternatives. Before I begin my review, I have to tell you that although Bandicam is a paid software, the free version has almost all the important features you would need. These features will help you make the proper decision as to whether you should buy Bandicam or not. In a world where companies are trying to get as much money from the consumers as possible, Bandicam is actually doing something positive, and I actually admire that. Bandicam as a screen recorder and capture software is full of features that many people can effectively put to use. That being said, I am taking a look at the highlighted features of Bandicam below so people can have a better understanding. So, let’s not waste time and have a look, shall we? 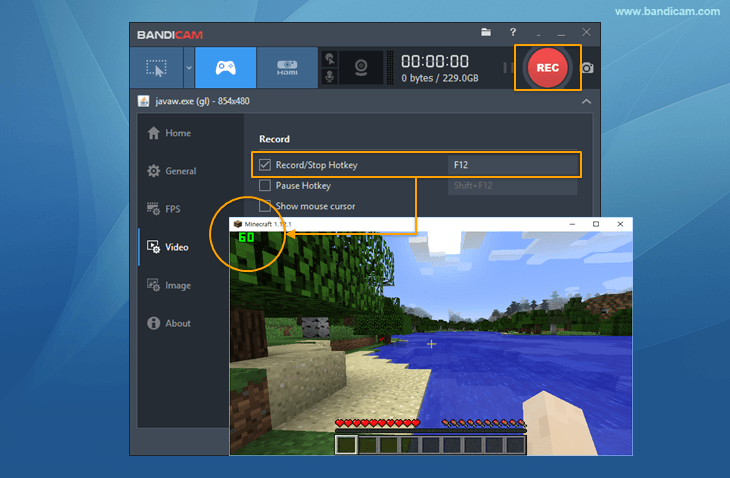 If you want to record some tutorial on the screen, Bandicam is a great option as it will allow you to easily record the screen and without any issues either. You can select the area you want to record, and even choose to record the audio along with it if you want to make everything a lot more authentic and easier for the viewers. Most recording software use the same parameters for screen recording, and game recording. However, with Bandicam, the process is entirely different, and that is for the better. With Bandicam, you can effectively record your gameplay videos without having any major impact on your frame rate. Another amazing Bandicam feature is device recording, this is for people who want to be able to record the externally connected devices with ease. 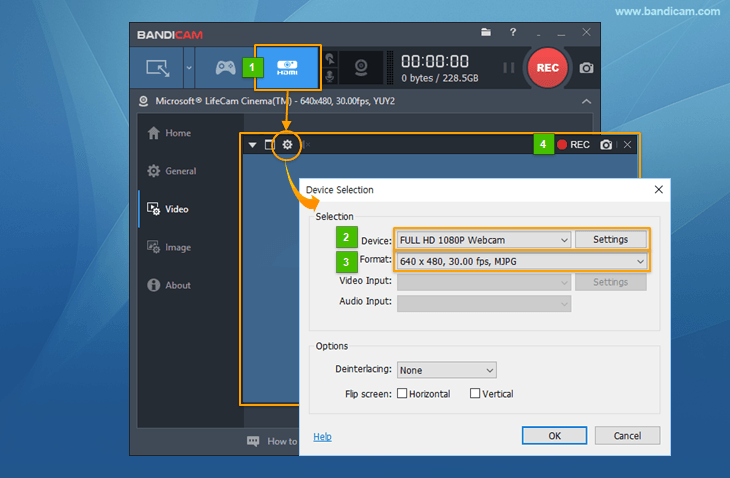 If you want to record your webcam, IPTV, or even Xbox, then Bandicam is the way to go. Another feature that I love about Bandicam is the fact that we can actually take screenshots with great ease. You will even get a counter on the screen that changes color whenever you take a screenshot. This is really convenient for people who prefer taking screenshots of the games they play. Considering how Bandicam is a multi-purpose screen recording software, there are several ways you can use that. The emphasis here is on screen recording, so that is what we are going to be looking at right now. Once you have downloaded and installed the software, you can follow the tutorial below that will help you use the software without any issue whatsoever. Step 1: Launch Bandicam, and click arrow next to the monitor. From there, you can choose between full screen, rectangle, or around the mouse. Step 2: Once you have done that, simply click on the record button and the process will start for you. Step 3: Once the video is recorded, you can go ahead and stop the process of recording, and then, later on, you can view the video that you have recorded for ease and convenience. 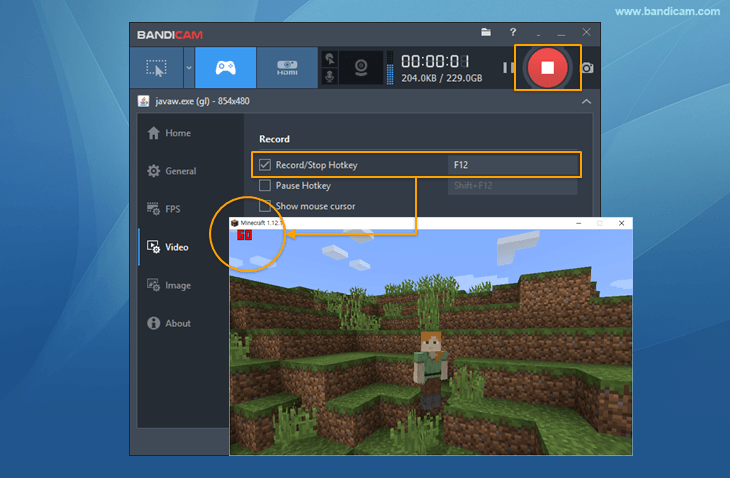 Considering how Bandicam boasts an impressive game recording feature too, using it is a great option for all the gamers looking to record their footage. The process itself is simple and similar to the screen recording method. Still, if you do require proper guidance, you can have a look at it below. 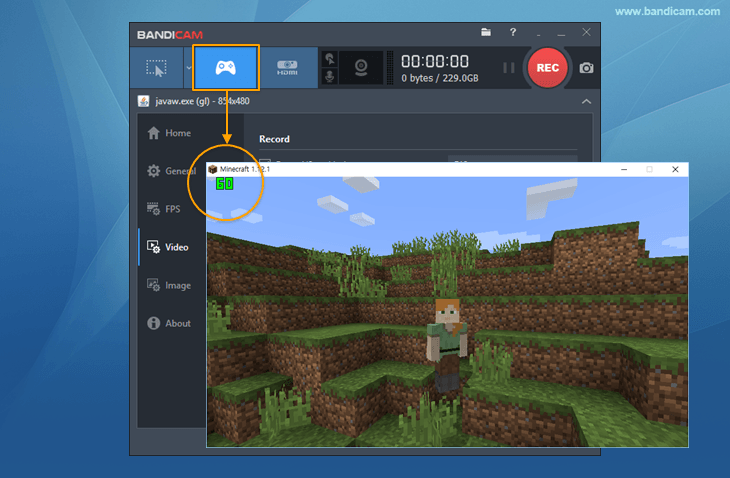 Step 1: if Bandicam is not already running, simply launch the program, and choose the game recording mode that is next to the screen recording. Step 2: If the game you are planning on the recording is already running, you should see a green FPS counter on the top left, or at the place, you have selected. If not, then run the game, and you will see that. To begin recording, simply press F12 and click on the REC button and you would be good to go. Once the recording starts, the green FPS counter will turn red. Step 3: Once you are done recording, all you need to do is simply make sure that you click the stop button, or if not that, then press F12 again and the recording will stop right there, and the FPS counter will turn green once again. Step 4: Whenever you want to view your recorded video, simply click Home on the left pane, and see the video that you have recorded. If you want to record an external device connected to your computer, the process for that is available too and is rather easy. Let’s have a look at it below. Step 1: Launch Bandicam and click on the HDMI icon. Step 2: Once that is done, choose the device you want to record from, and then choose the format you want the video in. To make the experience better, you can even choose the video input, as well as audio input in order to have everything available at one place. Step 3: Press OK once everything is set, and then hit the recording button to start the recording. The entire process is simple as that and should work well if you are looking to effectively record something from your device. Now comes the conclusion time. Generally, whenever I use a screen recording software, I am often met with some disappointments along the line. Remember how I told that most of the times, most of the screen recorders combine all the recording features into one and call it a day, the good thing about Bandicam is that it works differently as compared to some of the other options available in the market. 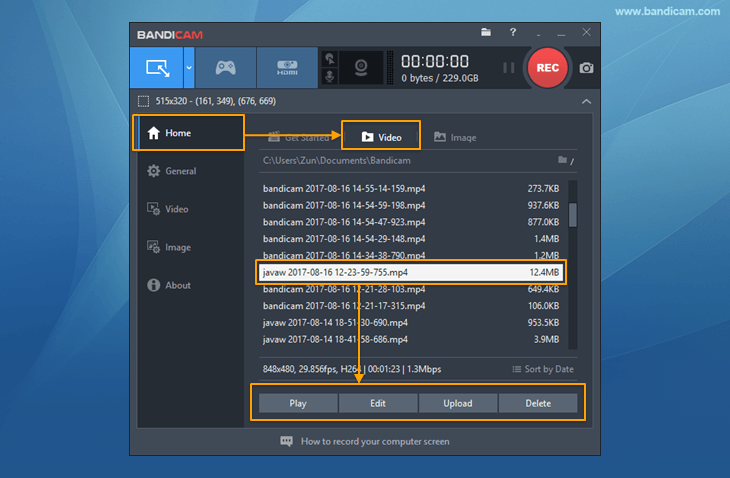 Here, all the recording features are separated; which means that there is a separate tab for screen recording, game recording, as well as device recording, and this attention to detail makes Bandicam one of the best software available in the market. Since we are on the topic of recording, the one thing that stands out the most is how whenever you are recording footage of a video game, you do not see any frame rate drop. This has been a common problem in the majority of screen capture programs that have been in the market for some time now, and I am pleased to introduce that such an issue does not exist with Bandicam at all. Whether you are running a demanding game like PUBG, or something as simple as Minecraft, as long as your PC supports it, you will have absolutely no issue whatsoever with recording the game. In conclusion, for anyone who is looking for an all in one solution to the screen recording woes that they face on a regular basis, the Bandicam is the go-to solution to all the issues that you might be facing. Sure, the software is paid, but the free version is just as good and works in all the situations as well. If you think you are going to need all the features there are, then investing in a paid version is definitely a good decision. Bandicam provides you with a plethora of options that you can use for recording videos, as well as taking screenshots. The software is easy to use with every feature having its separate section, but the same working procedure. The free version offers almost all the features you would get in the paid version. The game recording does not take a toll on the frame rate of the game. The software is capable of running on nearly every computer. During my review, I did not run into any issue.